We are situated right on the Scottburgh beach so the view looks straight out over the Indian Ocean. This is seen to be the gateway to Aliwal Shoal and has some of the best diving in the world on its door step. With 2 golf courses and a Crocodile farm but a stone’s throw away you are spoilt for choice for things to do. Not too far away we have the highest gorge swing in the world for those seeking adventure. In the evenings one can take a short stroll up the road to find a collection of multi-cultural restaurants to choose from. Ideally positioned in the middle of the Aliwal Shoal Marine Protected area, we are privileged to be close to both the Southern and Northern reefs of Aliwal Shoal. Diving at Aliwal Shoal is an exciting experience. Rated by Jacques Cousteau as one of the top 10 dive sites in the world, it has a great reputation to live up to, which it does. Aliwal Shoal should not be confused with resort diving, as conditions are demanding – sometimes bumpy launches, swells and currents. This adds to the sense of adventure. The shoal lies 4km out to sea from ScubaXcursion, so all divers are transported to the shoal on rubber ducks. The dive reveals similar fish life as Northern Aliwal dive, yet a vast variety of coral – fern and black coral – this is an unbelievable sight. Fern Coral – from 18м to 26м. (Required qualification: Open Water diver) – Rock formations filled with numerous caves, overhangs and gullies. Large deposits of hard coral, rather than soft coral, can be found in this reef. Ragged tooth Sharks are commonly found in season. 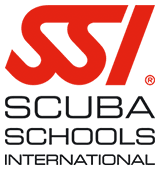 (Required qualification: Advanced diver) – This dive is along the reef border. Very impressive site, where divers curiously observe certain giant sea inhabitants. Hammerhead sharks and ray fish often “feeding” along the border. Important to notice, that this site often alters and is hardly recognizable even between the short interval dives. Depth is from 12m to 24m. (Inside Edge) and 20 – 30м (Outside edge). (Required qualification: Open Water diver) – Swim throughs and gullies are on the list of interesting landscaping in this area. This is a great multilevel dive. Raggedtooth sharks are on the menu in November, patrolling the gullies and the caves. Schools of Flutemouth fish, Batfish, Trigger fish, Wrasse, and lots more can be seen during this dive. (Required qualification: Open Water diver) – Pinnacles protracting from the bottom to as much as six meters from the surface, creating gullies, caves, overhangs, swim through and big holes in this reef. This is a relaxed enjoyable dive, because it is rather shallow, with more time to explore. Average depth is 6 –12 m.
ScubaXcursion use 2 boats for our diving trips. Both are 8 meter rubber ducks which are serviced regularly. The boats themselves are fully equipped with all necessities. These boats are launched from the beach and are skippered by some of the shoals most experienced.